more and more discerning consumers in their quest for affordable solution for missing teeth are embarking on a dental holiday to Thailand. The American Association of Oral and Maxillofacial Surgeons (AAOMS) indicates that nearly 70% of the adults from 35 to 44 years of age lose at least one tooth due to dental decay, gum disease, or accident. The association concurrently reports that the majority of implant procedures for adults who have suffered from periodontal diseases and teeth decay are quite successful. 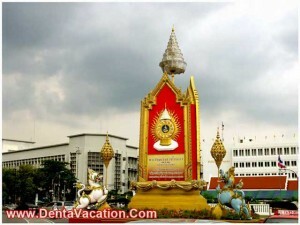 How Much for Dental Implants in Thailand? To know the latest prices and specials, fill in our online quote form as the prices mentioned in the above table might be changed without any prior notification. 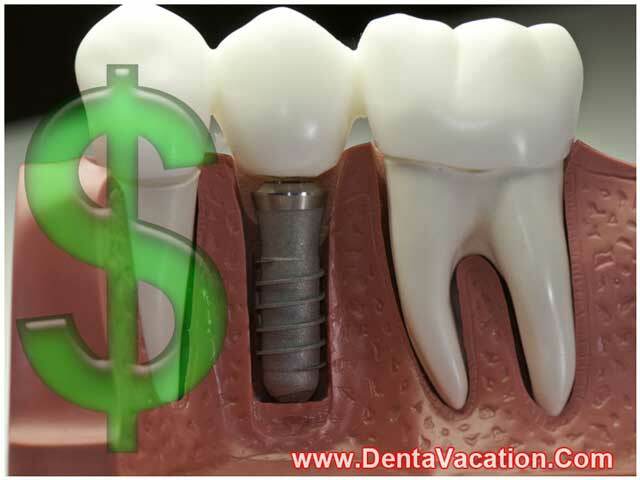 The difference between price of dental implants in Phuket and Bangkok, and other countries such as the United States, Australia and New Zealand is tremendous. You can save huge sums of money by choosing to have your implant work in Bangkok or Phuket. Be it all-on-4 implants or all-on-6 dental implants, you can procure them in the Land of Smiles at costs significantly lower than in the United States, Europe, Canada and Australia. The cost of dental care in Thai clinics is lower than in the First World countries primarily because of the low cost of living. Quality is not sacrificed in the name of “cheap” Nobel Biocare or Zimmer teeth implants in Bangkok and Phuket. One can expect high caliber of services offered by the country’s board certified doctors. The country’s leading dental professionals whom we, at DentaVacation, are associated with practice pain free dentistry, which encompasses a variety of techniques that alleviates dental anxiety. Sedation and comfortable surroundings that include diversion to television are but two examples of the techniques employed by our associate Thai dental professionals that are tailored to your needs and comfort. Dining thrice daily and lodging can be just a fraction of the average costs for similar mid-range amenities in the United States. Even with the addition of airfare and accommodation charges to the teeth implants cost in Thailand, many medical tourists would still experience a saving in comparison to the cost of the same procedure alone in other countries. English is widely spoken at the clinic where your dental implant surgery will be facilitated. The clinic boasts of a multi-lingual staff. Read what an Irish resident had to say in her review of dental implants in Patong – Phuket. A visibly happy Rosemary Bradley (her smile in the picture says it all) added that clinic was the “most fantastic place” she had ever gone to for dental care. on clinics and dentists before negotiating for low dental implants cost in Thailand. Also, prior to scheduling your dental implant treatment in Phuket, Bangkok or any other part of the country, determine follow-up care for your dental needs when you return home. To arrive at the best price for your delayed or same day implants in Thai clinics, you can ask for free quotes online and gather information beforehand. Dental treatment before and after photographs provide a visual appreciation of the benefits of dentistry. 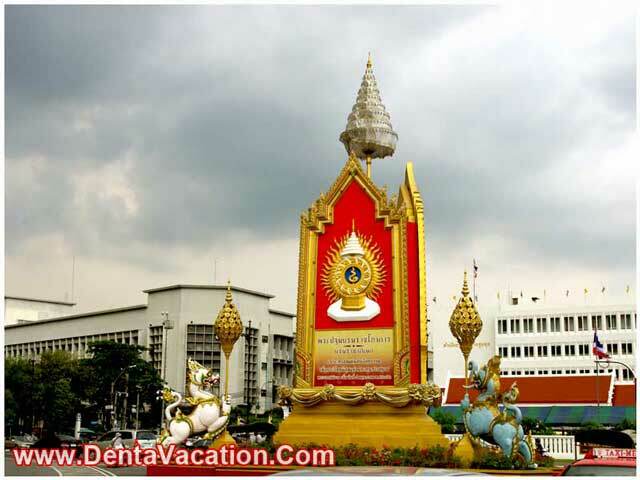 Reviewing stories and other types of anecdotal information offered by medical tourists who have received affordable dental implants in Bangkok and Phuket can also be useful. Making sure that your budget includes sufficient resources to travel about while you get your cheap dental implants is strongly suggested. This country offers everything from beautiful beaches to rain forests. It’s very much worth your while to experience the bustle of Bangkok’s markets and night life, or to enjoy the enchanting tranquility of fishing villages on stilts. Following your treatment, you’ll be placed on a diet of soft foods only. Your vacation time will, therefore, be much more enjoyable before, rather than after, the dental procedure. 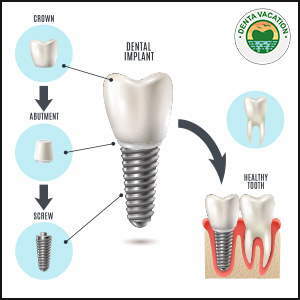 Dental implants represent one of the most satisfying long term solutions for the loss of teeth that frequently occurs due to disease and due to the process of aging. And just about anyone can reap the benefits of getting them. Since dental implant cost in Thailand is relatively low, this option has become even more attractive because of its affordability. Plus, the perks of a rejuvenating holiday.